Home › Why Working Out In A Group Is Beneficial? As much as you want to lose weight, the thought of working out to actually lose it is not an enjoyable process. Many exercisers find it difficult to get motivated and keep putting off working out. The burden of waking up early morning when you can sleep an extra half hour is not everyone’s cup of tea. What if you had a group of friends that were willing to exercise with you? Would it encourage you to hit the gym early morning? Let’s look at some benefits of exercising in a group. A group workout as much as an individual workout can be headed by a personal trainer. When there’s a personal trainer in the midst, there is efficiency and speed. The thought of beginning an exercise class is not as daunting, knowing you will be surrounded by people sharing your same fitness goals. A group exercise class offers predetermined motivation. Did you know that some personal trainers may prefer to workout in nature encouraging exercisers to walk, jog, hike or bike outside of the gym? If you are a newbie, a group setting can be effective. You will not what a fitness class looks like. And a personal trainer along with the rest of the group will take you under their wings. Soon, working out will become something fun and adventurous! When exercising on your own, it takes a lot of effort to energize yourself to even wake up in the morning. When you know there’s a group of people waiting for you, you will get out of bed as soon as the alarm goes off. There’s a certain level of energy in a group setting. Everyone seems pumped up and ready to roll. There’s an excitement and a sense of adventure that is shared. Some group workouts like yoga, spinning, Aquatic aerobics and boot camp can be beneficial towards weight loss goals. Working out on your own can feel intimidating. You may not know what to do or where to start. A group class, on the other hand, with a personal trainer at the helm will help alleviate those fears. 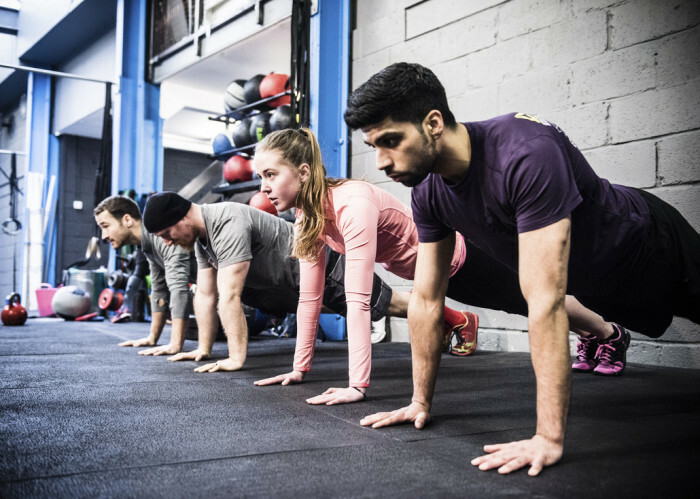 An experienced personal trainer will help you master the skills required to compete in and complete a high-intense workout. And if you struggle in the middle of it, you can be certain you’ve got some great people around you to pull you right back on track. As much as you learn to exercise with a group, you can socialize with them outside of the gym. This is a great way to mingle with people who share the same fitness goals. Group exercise has a social element to it which allows you to meet new people and form steady friendships.